There's nothing more relaxing than a weekend brunch with friends or family. Mimosas, Bloody Marys, and gourmet coffees are great ways to jumpstart a lazy weekend. It's all about the choices: Eggs fixed 20 different ways, your favorite breakfast meats, sweet rolls, and muffins all make dining fun. Tex-Mex brunch buffets offer a host of breakfast items and a few regular meal faves like fajitas and enchiladas too. Dallas-Fort Worth has so many fabulous restaurants that it's virtually impossible to eat your way across the Metroplex. But you can certainly try! Made-to-order omelets, waffle station, fajitas, fresh fruit, and all the fresh guacamole and sweet potato chips your heart desires. Mimosas and champagne are included. Blue Mesa Grill is located in Addison, Dallas, Fort Worth, Plano, and Southlake. Bread Winners Café is always popular and serves a full brunch menu on weekends. A few of the items on offer include Eggs Benedict, waffles and pancakes, breakfast casseroles, bakery items, and more. Bread Winners Café is located in Uptown and Inwood Village in Dallas and Plano. You have to try the Brazilian Breakfast: Two farm-fresh eggs are served with a chorizo empanada, served with rosemary potatoes, and jalapeno and grilled homemade white bread. Vegetarians love this menu because there are a lot of veggie-friendly choices. There are 11 locations throughout the metroplex. The upscale Café on the Green serves breakfast items, seafood, and sushi, prime rib, and desserts from its sleek golf course locale. Café on the Green is located at the Four Seasons Resort and Club, 4150 North MacArthur Boulevard in Irving. It's tough to decide between the ricotta pancakes with mascarpone and pancetta or the breakfast panini with prosciutto, fontina, tomatoes, and arugula on wood-fired bread. Bring a friend and share a few plates. Cane Rosso is located at 2612 Commerce Street in Dallas. Mattito's long-standing Dallas brunch is famous for breakfast items and Tex-Mex specialties like quesadillas, Baja chicken, migas, sopas, taco bar, salads, desserts, and fresh fruit. 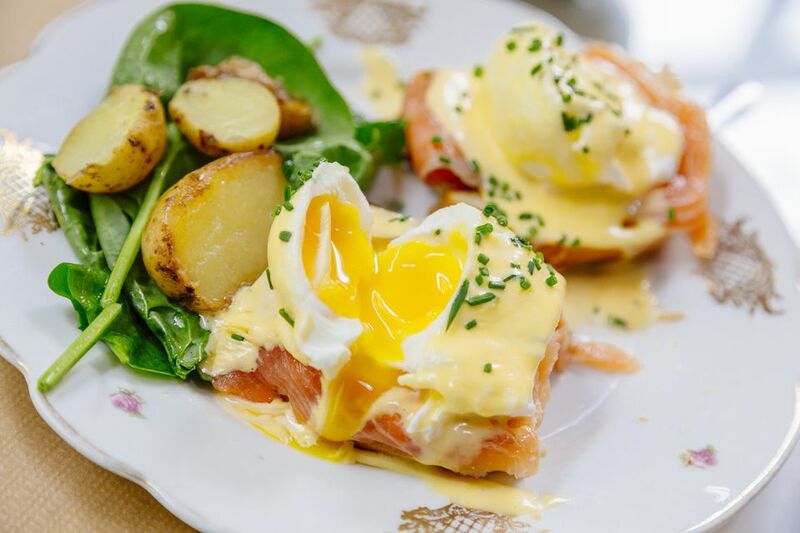 Mattito's takes reservations for Sunday brunch. You can't go wrong with $2 Mimosas and Bloody Marys. Bananas Foster french toast, and spinach and goat cheese-stuffed omelet are fan favorites at Sambuca 360, which is located in Plano. At Taverna, you can get $1 mimosas and bellinis with the purchase of an entrée. New Orleans-style Beignets, eggs any-style, and frittatas top the brunch menu. There are two locations: One in uptown Dallas and another in downtown Fort Worth. The creative, chef-inspired brunch menu will feature Mexican and American breakfast classics with an urban twist. Diners will also be delighted to find cheap carafes of red and white sangria. The red sangria is prepared with pinot noir, plum juice, orange juice, pomegranate molasses, and basil. The white sangria is made from fresh citrus and New Age wine. Sunday brunch served in an elegant, upscale setting. Waffles and made-to-order omelets, shrimp cocktail, Southwestern eggs benedict, fajitas, 99-cent mimosas, potato and egg burritos, chocolate fountain, and five different desserts are featured on the brunch menu.